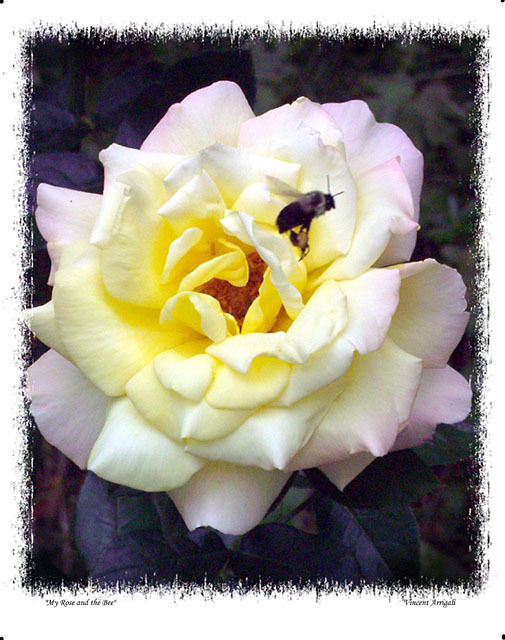 Фото "My Rose and the Bee"
Not much to say about this one. Was lucky I guess. Charming photo! The bee in flight is perfectly photographed. My congratulations, Vincent!